A little girl born to professional wrestler Steven Sharp is permanently disabled due to an injury she suffered around the time of birth that severely deprived her of oxygen. Shortly after birth, the baby girl, Sam, was diagnosed with hypoxic ischemic encephalopathy (HIE). Steven and wife Carlene call Sam “Amazing Grace” because she was their first born after Carlene had 4 miscarriages. As soon as Sam was born, her entire head and body were blue and she had to be resuscitated. Physicians told Steven and Carlene that Sam was brain damaged from birth, and that she had only two years to live. She is now seven years old, and Steven has devoted his entire life to caring for her. Sam cannot walk or talk, and she has a permanent hole in her trachea that was surgically created to help her clear her airway secretions and breathe. Sam has some movement in her arms and legs, but is dependent on her parents’ care 24 hours a day. HIE, commonly known as birth asphyxia, is defined as brain damage caused by insufficient oxygen or blood flow to the brain near the time of birth. A baby’s brain can be deprived of oxygen when there is not enough oxygen in the blood (hypoxia) and / or when there is insufficient flow of blood in the brain (ischemia). When a baby is deprived of oxygen for too long, brain cells start to die and HIE can result. HIE can lead to disorders such as seizures and cerebral palsy. In fact, HIE is the most common cause of neonatal seizures, and seizures can cause additional brain damage. Due to the severity of Sam’s HIE, her parents are worried that at any moment they could wake up and she’ll be gone, which is a thought they find mind-numbing and horrible. Indeed, HIE is a condition that can have devastating consequences. For this reason, it is crucial that babies be closely monitored during labor and delivery. This is especially true if the pregnancy is high risk, which was the case with Carlene. If the medical team fails to monitor the baby with a fetal heart rate monitor, or the team fails to appreciate or properly interpret the heart tracings, nobody may notice that the baby is severely oxygen deprived. Oftentimes, the fetal heart tracing is the only indication that a baby is in distress. The longer a baby is deprived of oxygen, the more severe the brain damage. When a baby is born and needs resuscitation, as was the case with Sam, it is imperative that resuscitation be initiated immediately. Resuscitation is implemented to help a baby breathe, get her started breathing, and / or to improve her heart rate and blood pressure. Delay of this procedure can further deprive a baby of oxygen and cause or worsen brain damage. If a physician or medical team fail to properly monitor a baby or to act skillfully and quickly when complications occur, it is negligence. If a hospital is ill-prepared to perform resuscitation procedures or the medical team improperly performs the procedures, it also is negligence. If this negligence results in injury to the baby, it is medical malpractice. 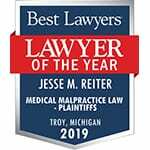 At Reiter & Walsh ABC Law Centers, our nationally recognized attorneys are dedicated to birth injury cases. 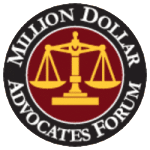 For decades, we have been helping families in Michigan and throughout the nation, and we have numerous multi-million dollar verdicts that attest to our success. We will fight to obtain the compensation you and your family deserve for lifelong care, treatment and therapy. We will evaluate your case to determine if your child suffered injuries due to the negligence of the physician or medical team, and you never pay any money until we win your case. Call us at 888-419-2229.